1Z0-869 - Java ME - benefits? I'm planning to prepare for this exam, can someone guide me with the benefits/advantages of this exam. When am done with the preparation of this exam, what knowledge will I gain? Any detailed explanation will be good. This is the first time ever, I saw no replies. Is this such a bad test? If I am not mistaken, the current test is very outdated. Did you check the objectives? I don't know. 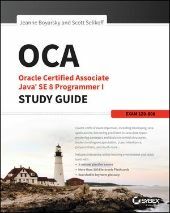 Can you recommend a more recent exam related to Java Mobile? JME is installed on a lot of existing devices, but it won't be on many of the new devices that come out this year or in the future. In my view, it is doomed, Blu-Ray notwithstanding. I would evaluate very carefully whether investing in it makes sense. CX 310-110 or 1Z0-869, which is valid now?